“ODEON will be opening its doors to film fans in Charlestown Shopping Centre in Finglas from October 2015. This newly- built cinema will boast 9 screens, a premier Retail offering and an immersive iSense screen experience. Are you ready to be a part of this exciting new opportunity and join our team as a Cinema Host. 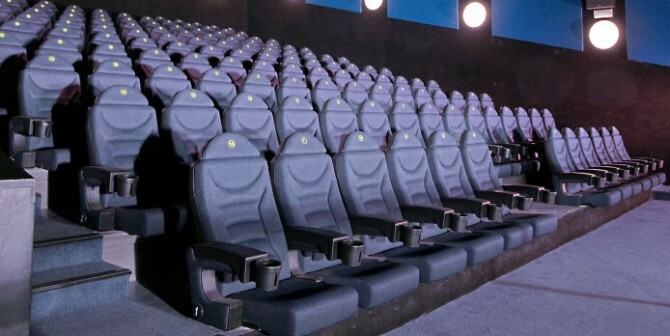 As an ODEON Cinema Host, you will be the first point of contact for all of our guests. You will need to be a friendly, energetic ‘people’ person, someone who can work in a team and meet and greet everyone who visits, making them feel like stars. You will be serving tickets to our guests, keeping the cinema tidy both on and off screen and selling our retail offers to ensure that our guests will never be hungry whilst watching their chosen film. For this role, we’re looking for candidates with an enthusiastic and friendly manner, who can communicate confidently with both the guests and the rest of the team and who have the positivity to deliver premier guest service. You’ll need to be willing to learn and ideally have experience of working in a customer facing environment. Please note: all successful applicants must not have any holidays planned between October 2015 and December 2015 and must be available on both 15th and 16th of September, to attend a selection event on one of these days. Have you got the talent to take on this starring role? If you share our passion for films, we want to hear from you.